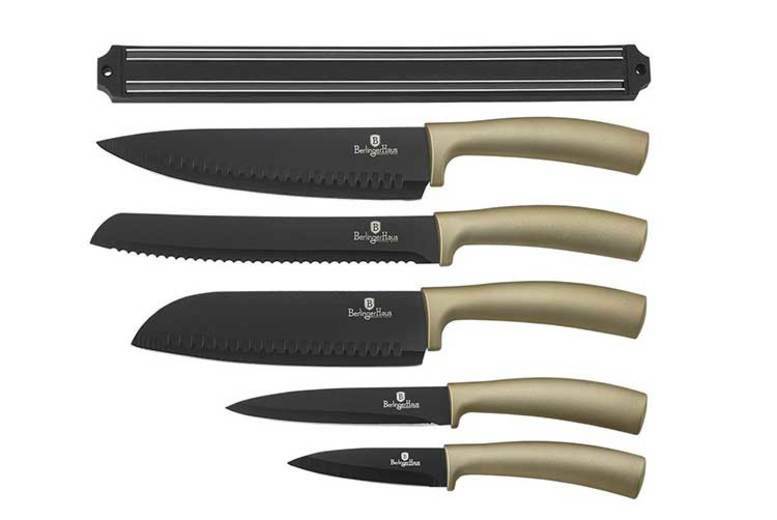 Get a 6pc Berlinger Haus chopping set! Including five stainless steel cooking knives. In a stylish carbon metallic coating. With ergonomic handles for precise and controlled chopping. And a handy magnetic hanger. Dimensions (see below)!